Join us in the release of Three Witches 2016! We will be pouring this light and etherial Rhone blend paired with the last of the season’s melons and proscuitto. Toast to the time with a glass of house-made sangria. Light a candle for your ancestors Saturday through Sunday, to celebrate the time of remembering our ancestors and where we came from this all hallow’s weekend. 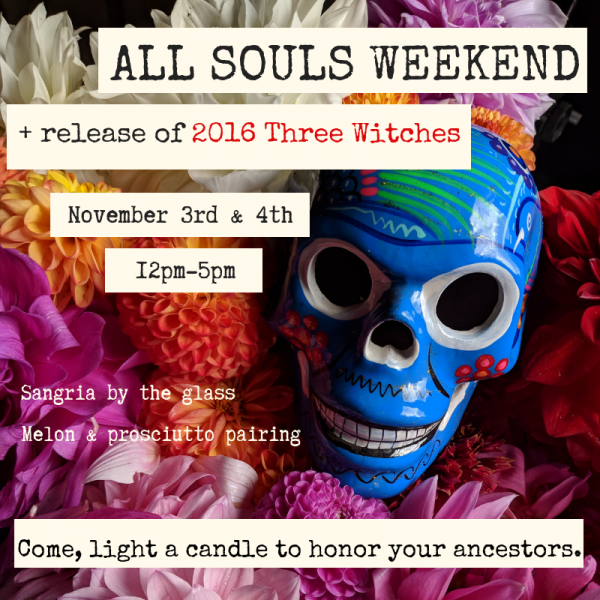 Join us in the release of Three Witches 2016!